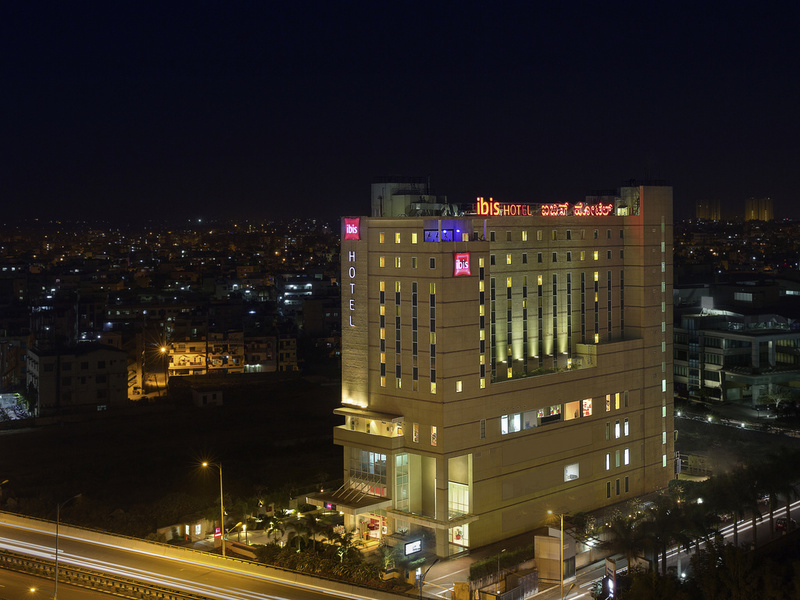 Strategically set between Electronic city and Koramangala, ibis Hosur Road is 100m from AMR Tech Park, and companies like Tally, Metric Stream and next to The Oxford College. A major technology hub, Electronic City; home to corporates like TCS, Tech Mahindra, HCL, Deutsche Bank and Hewlett Packard is a mere 15 minutes' drive while the popular M.G. Road is 8 km away. Bangalore City Railway Station is only 15 km and Bangalore International Airport is 43 km. Bangalore has some of the most beautiful gardens in the country and a monumental palace and once the summer retreat of the great warrior Tipu Sultan. Bangalore is fascinating from interesting historical structures to the most modernistic lifestyle. Your sleep is our priority in our 185 modern, soundproof rooms with big fluffy pillows, super-soft duvet and high-tech mattresses that align with the density points of your body. The new Sweet Bed by ibis is difficult to leave! Enjoy a dual advantage! Your bed can be converted to two separate single beds or be made into a king-size bed.While every effort shall be made to confirm with requirement, these rooms are subject to availability at the hotel. With a vibrant, energetic and comfortable dining space, the Spice It restaurant offers the best of worlds with buffet and à la carte options. With the "You Create, We Cook" concept, guests can also explore their culinary skills whilst dining.